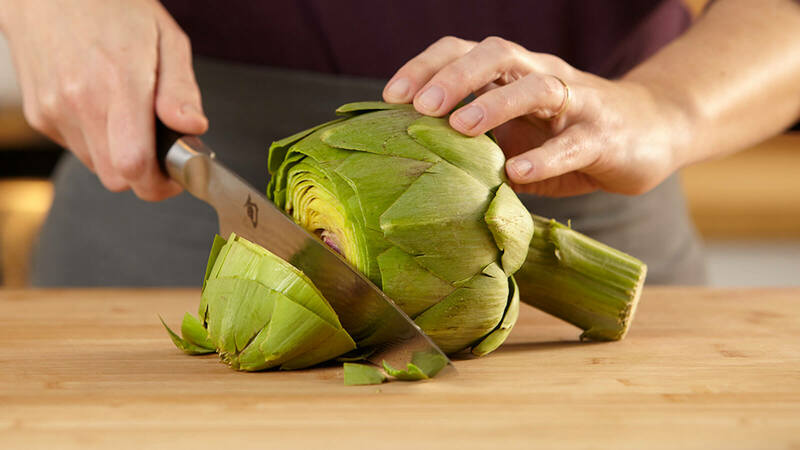 The center of the artichoke, or the heart, is the most tender and often preferred part of the vegetable. 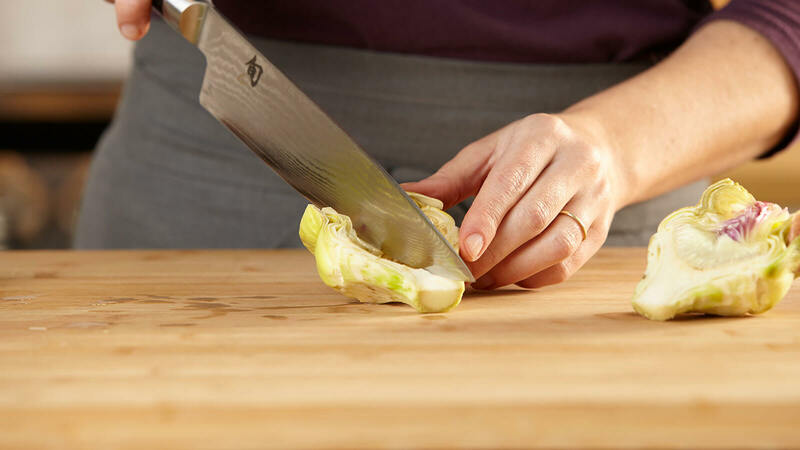 However, removing the prickly leaves that protect it can be a labor of love. 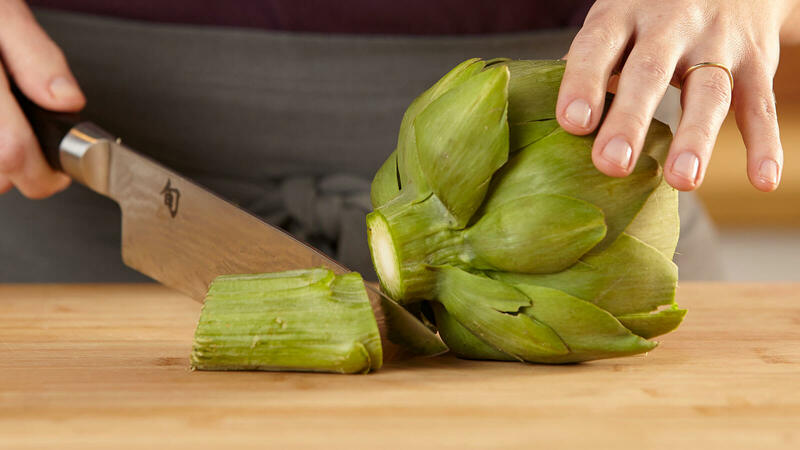 Follow our step by step instructions below and you will be enjoying fresh artichokes in no time. 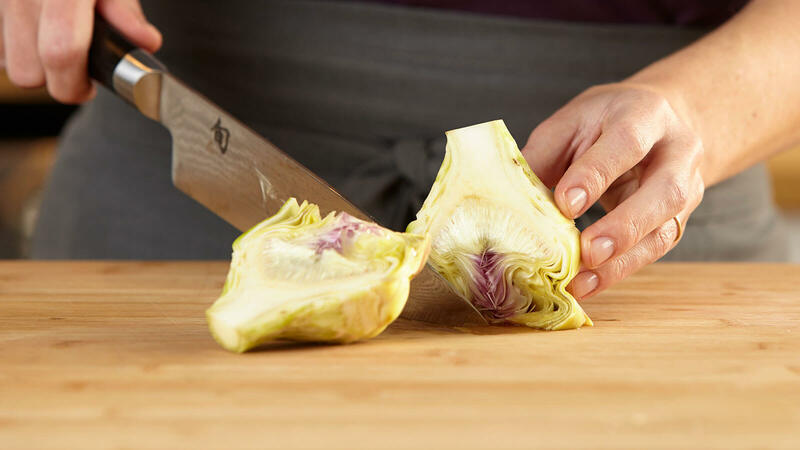 Using a chef’s knife, cut off top ⅓ of artichoke. 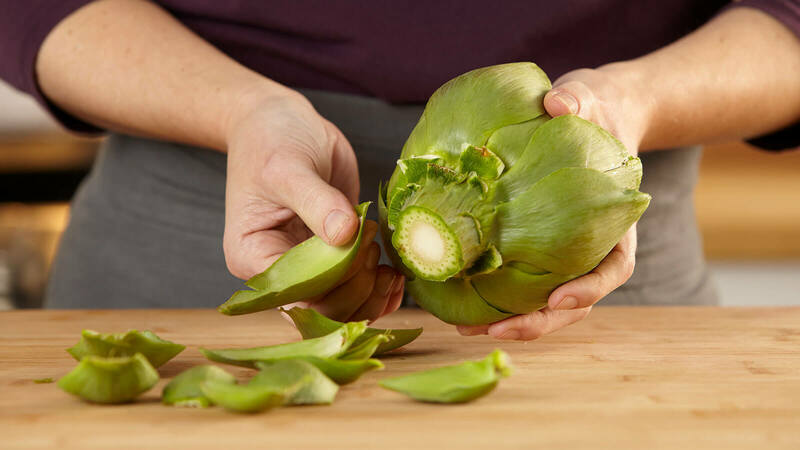 Cut off stem, leaving about ½ inch. 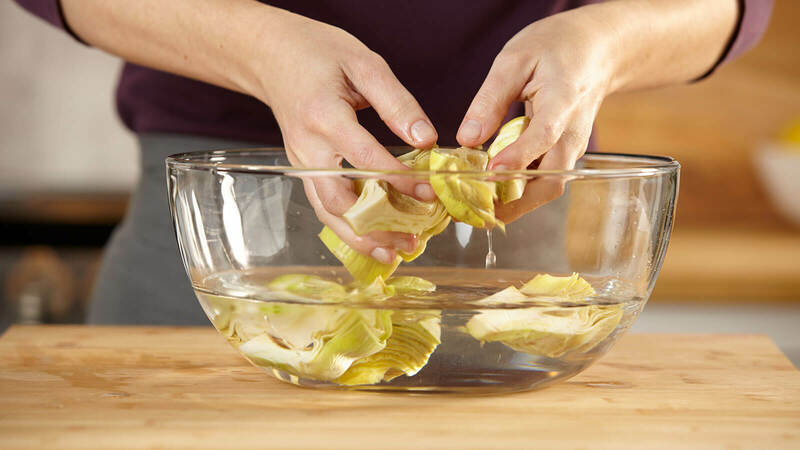 Starting at base, tear off 3-4 layers of tough outer leaves and discard. 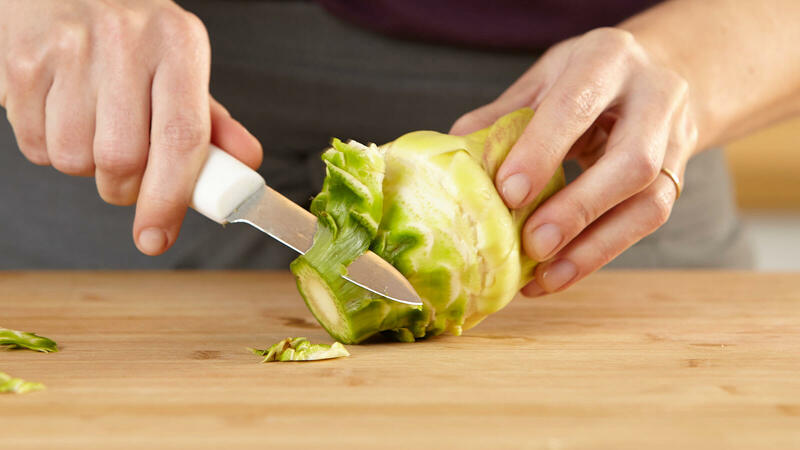 Using a paring knife, trim around the outer edge to remove remaining leaves and any tough bits until you begin to see beige or light green colored leaves. 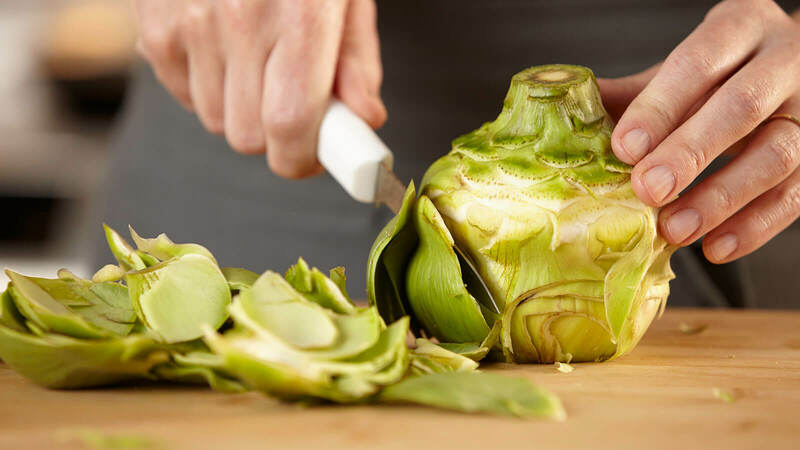 Continue to trim down the base and stem until all dark exterior is removed and tender meat is revealed. 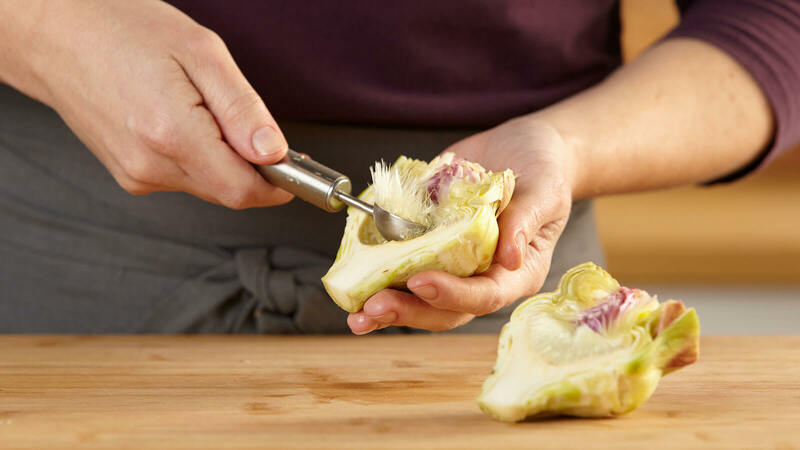 Using a melon baller or spoon, scoop out the fuzzy inside and discard.